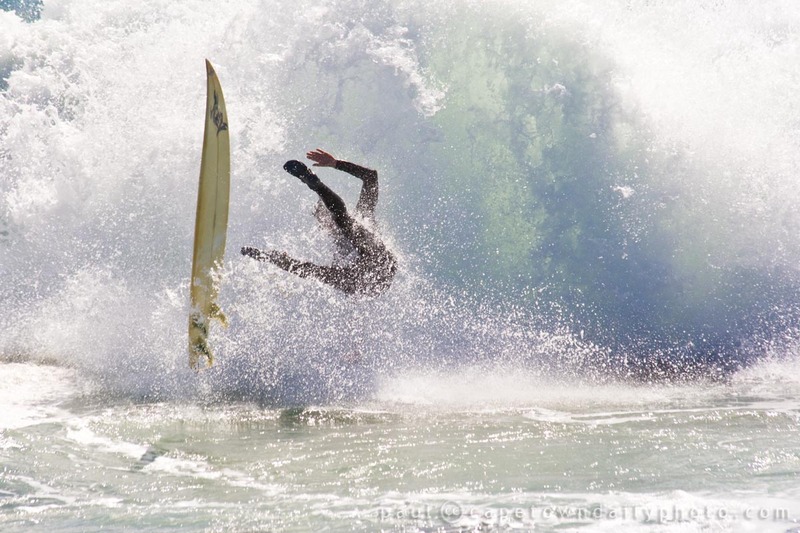 Isn't that just a beautiful wipeout? I guess it's times like these that surfers are glad that they're not sand-boarders! I think this guy was fine - but it's not always the case. Although one falls into water, the amount of danger you're in when coming off your board depends on the depth of water the possibility of collision with immovable or hard objects - like the seabed, rocks, a surfboard, large marine life, and other surfers. If you're starting off with surfing, I suggest you read this commonsense guide to surviving a wipeout. You spend all your money. You lose your job because your looking at charts all day. You lose all your friends 'cos you'll never commit to doing anything at the weekend. You lose your girl/boy friend cos you smell all the time. You become obsessed and irrational. You turn into a miserable git when you dont get your swell fix. This is perhaps an exaggeration, but surfers, how accurate would you say the quote is? 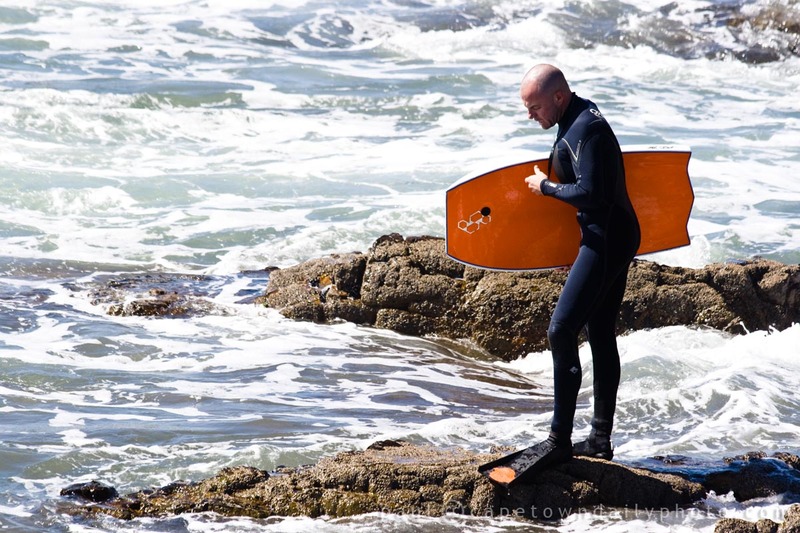 Take a look here at a few more surfing photos taken on this outing to Mouille Point (map). Posted in Activities and tagged sea, sport, surf on Monday, 20 September, 2010 by Paul. Our boogie-boarder friend stood observing the water for a while before venturing in. It's good to have a healthy dose of respect for the ocean - it's able to turn nasty fast! This particular part of Mouille Point is right next to large concrete breakwater walls against which the ocean waves relentlessly thud, sending sprays of water and foam flying into the air. The boogie-boarder carefully watched the way the ocean was moving to find the most efficient route by which he could reach his surfer-friends who were about 100m away at the time (map). Posted in Activities and tagged sea, sport, surf on Sunday, 19 September, 2010 by Paul.